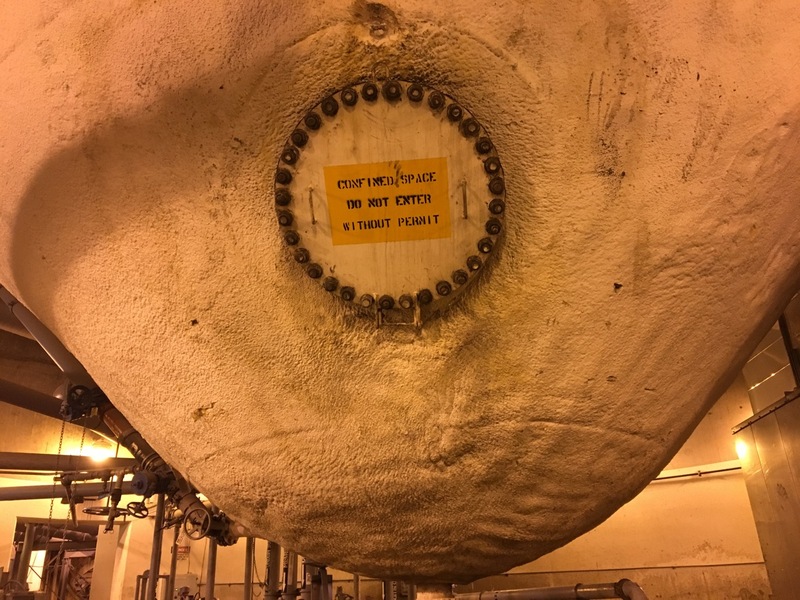 Visit to SF Water Treatment Facility: So Awesome (and Smelly)! 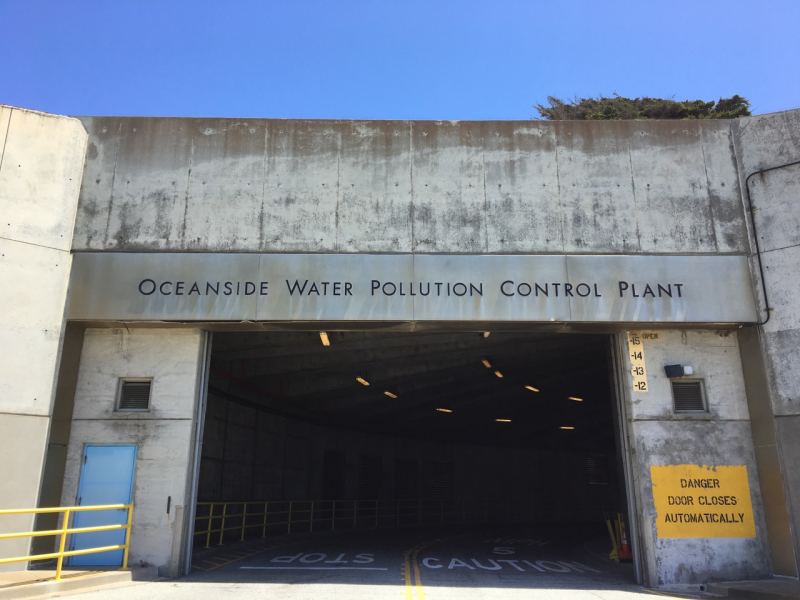 On Saturday, I had the pleasure of going on a cool tour of the Oceanside Water Pollution Control Plant in San Francisco. 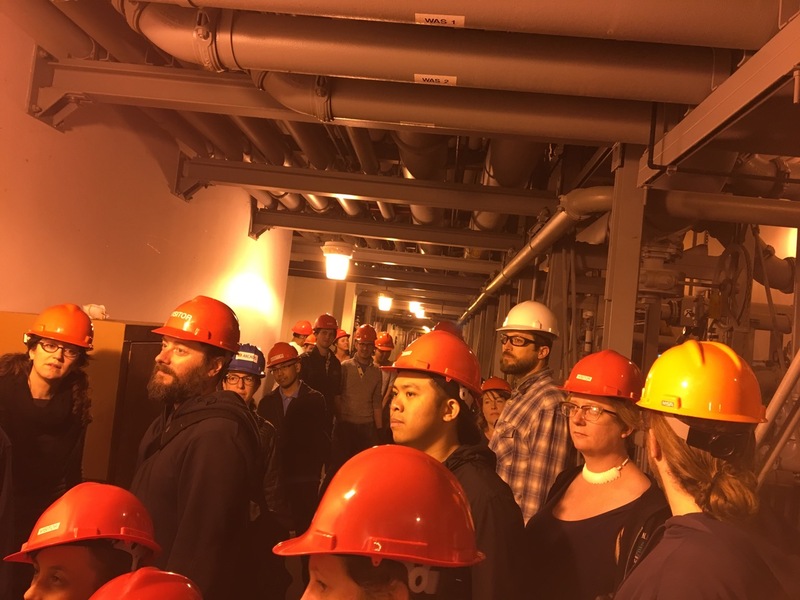 Visiting a water treatment plant might not seem like the most fun thing to do on a weekend, but the tour was actually quite crowded with several couples, families, and interested individuals like myself. There was a gaggle of four excited adolescent girls who came on their own initiative. I learned a lot about how San Francisco manages waste water, a necessary but little known function that all communities have to figure out. Really who wants to think about what happens to the water after you flush the toilet? It’s actually super interesting! San Francisco has what is known as a combined sewer system. We are the only city on the California coast that collects and treats both wastewater (the stuff that comes out of your house) and storm water (the water that flows down the street into the sewer). Most other coastal cities just dump storm water straight into the ocean, bringing with it all the pollutants and garbage the water collects along the way. Gross. San Francisco, by contrast, treats all waste and stormwater before it goes into the ocean, to better protect both the environment and our health. The tour of the Oceanside facility helped us understand how complex that capture and treatment process really is. It’s really a wonder of civil engineering. A screen separates large objects from the water. This kid was super excited to see the separator in action. Then, large tanks are used to separate scum (oily residue that float to the top) and sludge (solid matter that settles to the bottom) from the water. This tank is as big as a soccer field. Secondary treatment uses natural bacteria to breakdown organic matter in the water. Treated water is discharged a couple miles into the ocean. This sample looks almost identical to tap water. Meanwhile, the solid waste is thickened to make it easier to manage. Yeah, it’s pretty gross. 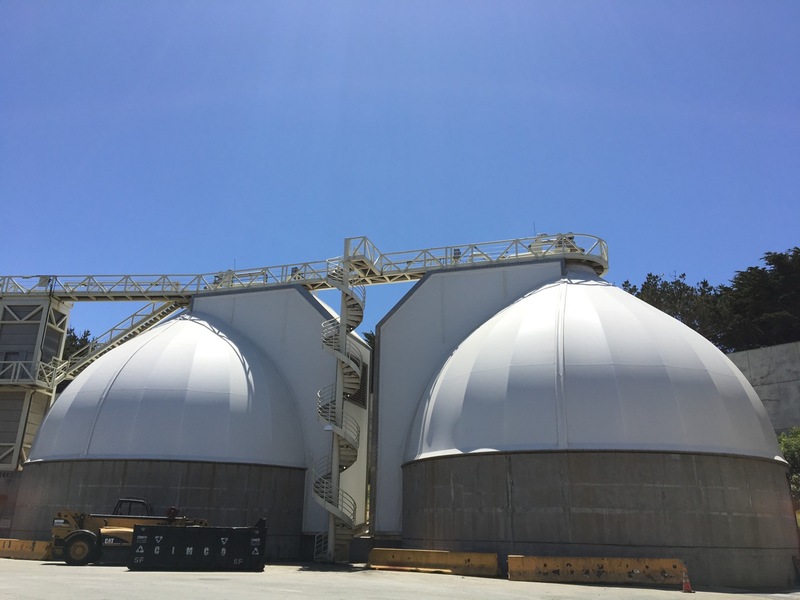 The resulting sludge is put into gigantic, egg-shaped digesters, where they are heat treated, which stimulate anaerobic bacteria to breaks down the organic matter over 15-25 days of treatment. Here’s the digesters from the outside. And here a digester from the bottom. Do not enter without permit. No problem! 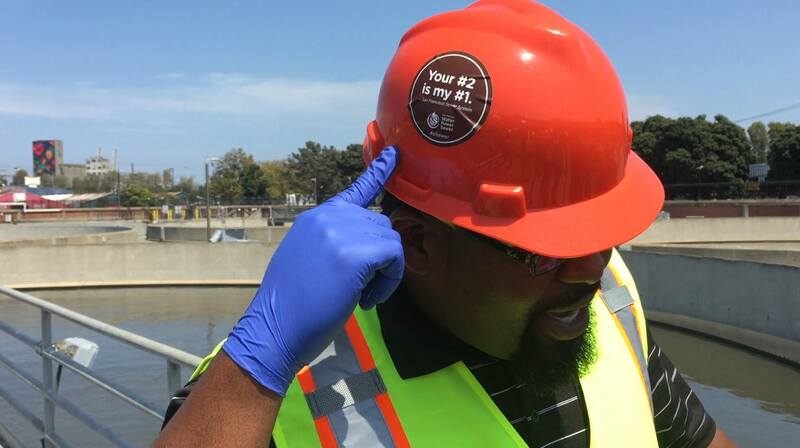 The San Francisco Public Utilities Commission monitors our water at both ends of the process. Here’s a sewer monitoring station that is staffed 24 hours. And on the other end, biologists test the water and aquatic life to make sure our discharged wastewater is not negatively impacting the environment. Here’s one of the testing labs. 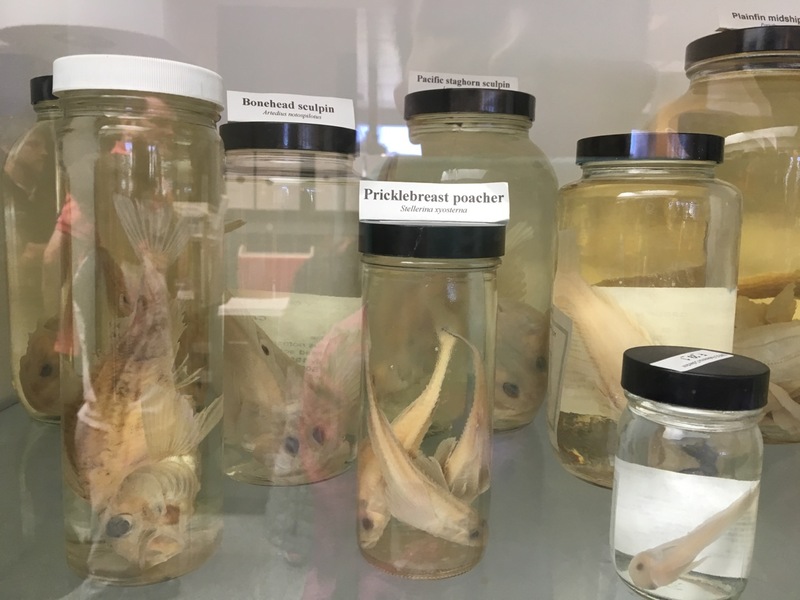 Here are samples of local fish that are collected and examined for any negative health impacts of our wastewater. 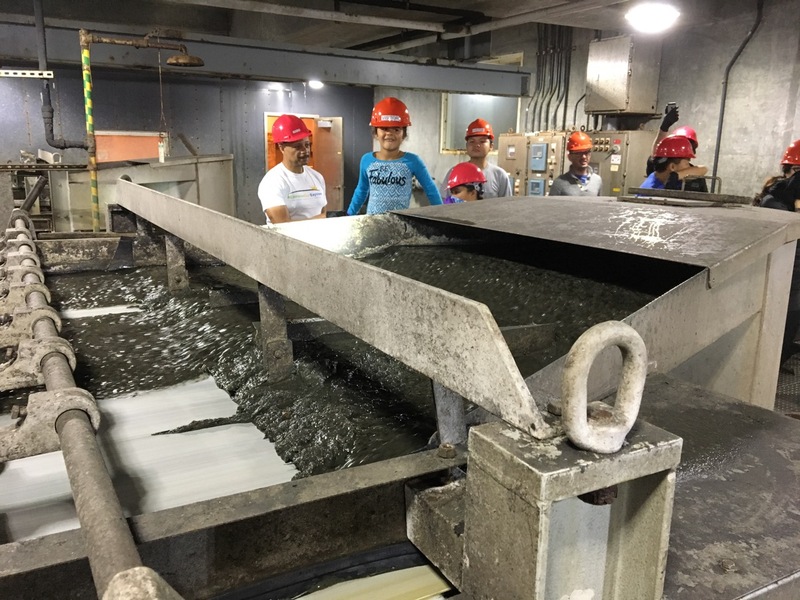 By the end of the tour, all of us were really impressed by the many steps involved in capturing and treating wastewater before it is released back into the environment. The sad part is that I imagine there are not many other communities in the US that go as far as we do to limit our impact on nature. Just one more reason why San Francisco rocks! 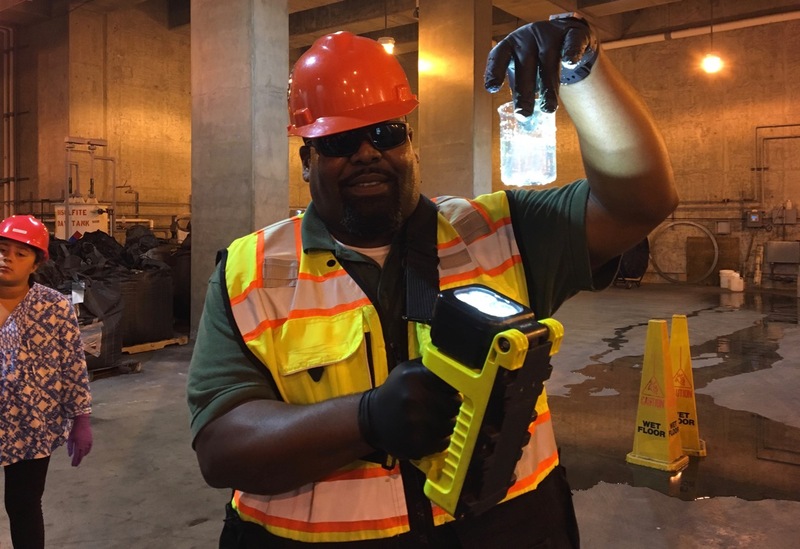 Thanks for an awesome tour, San Francisco Public Utilities Commission, and in particular our skilled tour guide Jonathan and his colleagues! The tour is highly recommend for anyone interested in protecting the environment and human health. Or just curious about what happens when water goes down the drain. 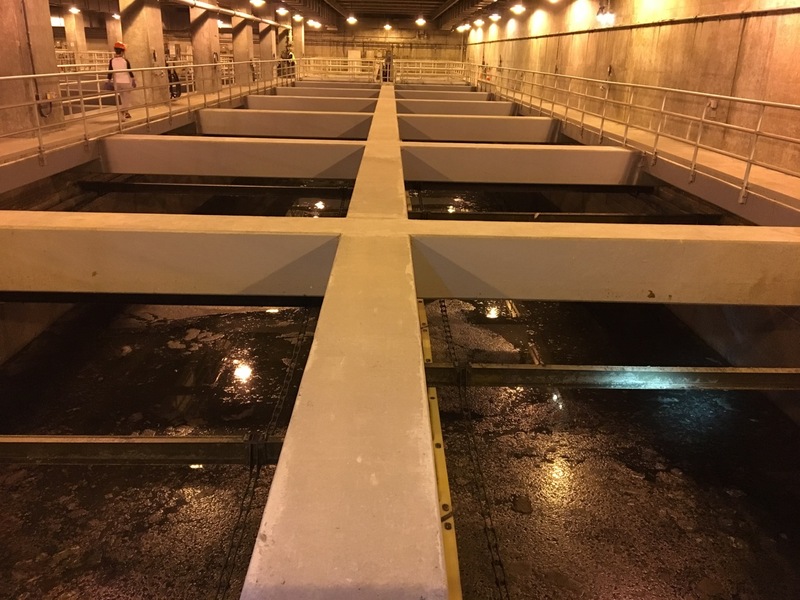 Free tours of the Oceanside and Southeast water treatment facilities are offered two Saturdays a month. Head to their website for information and to sign up. Previous ArticleOne Year at Science Action Club!